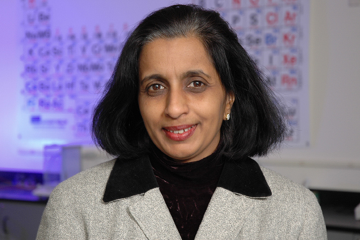 Biology professor will advance STEM in Washington, D.C.
Chandler-Gilbert Community College Biology Professor Dr. Pushpa Ramakrishna is acting as Program Director at the National Science Foundation (NSF) in the Division of Undergraduate Education (DUE) until September 2018. She was appointed the prestigious role earlier this year, and relocated to Washington D.C. in September 2017. DUE programs are intended to strengthen STEM education at two- and four-year colleges and universities by improving curricula, instruction, laboratories, infrastructure, assessment, diversity of students and faculty, and collaborations. As Program Director, Dr. Ramakrishna will be working on the Advanced Technology Education program, Improving Undergraduate STEM Education program, NSF Scholarships in STEM program, and the Robert Noyce Teacher Scholarship program. We wish Dr. Ramakrishna the best of luck and cannot wait to hear more about all of her exciting projects.